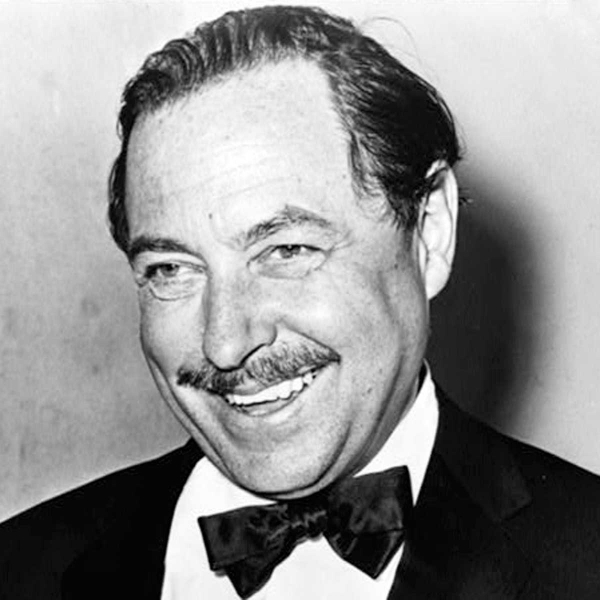 Thomas Lanier "Tennessee" Williams III (March 26, 1911 – February 25, 1983) was a Pulitzer Prize-winning American playwright and author of many stage classics. He was born in Columbus, Mississippi in 1911 and had a troubled relationship with his father, an ambitious salesman (which would subsequently be reflected in Miller's Death of a Salesman). In 1929, he enrolled at the University of Missouri to study journalism but was dismayed when his father withdrew him from the college. Soon after, forced into a sales job he detested, Williams suffered a nervous breakdown. Upon his return to health, Williams began communicating with poets studying at Washington University and went on to graduate himself from the University of Iowa in 1938. Williams moved to New Orleans at the age of 28 and took up writing more seriously. He soon landed an agent and in 1940 his first play, Battle of Angels, premiered in Boston. Although it flopped, Williams' spirit was not dampened and he revamped it into Orpheus Descending (later turned into the Marlon Brando movie, The Fugitive Kind). In 1945, Williams hit the jackpot with his play, The Glass Menagerie, which closely reflected his own unhappy family background. This heralded a string of successes, including A Streetcar Named Desire which earned Williams his first Pulitzer Prize and a Drama Critics Award. Cat on a Hot Tin Roof, Sweet Bird of Youth, and Camino Real all followed, achieving critical success. However, his later work attempted a new style that did not appeal to audiences, and alcohol and drug dependence further inhibited his creative output. In 1969 he was hospitalized and, following his release, he wrote his autobiography, Memoirs. Williams adapted much of his best work for the cinema, and also wrote short stories, poetry, essays, and several new plays. In 1979, four years before his death, he was inducted into the American Theater Hall of Fame. However, sadly, Williams could not escape his substance abuse and he died in 1983 in a New York hotel.